Use hardware components from your local store, leftover wire and beads from your bench and create a unique Wild Woman bangle. 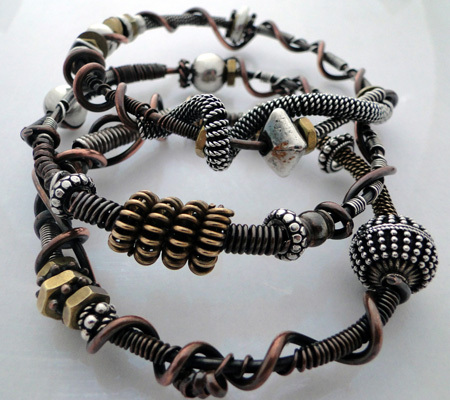 Students will learn to make coils, wire beads, discuss design options and use a variety of wire gauges and shapes. Your imagination is your guide! Kit includes enough material for 2 bangles and most students will finish both during the 3 hour class.